April 28, 2017 . 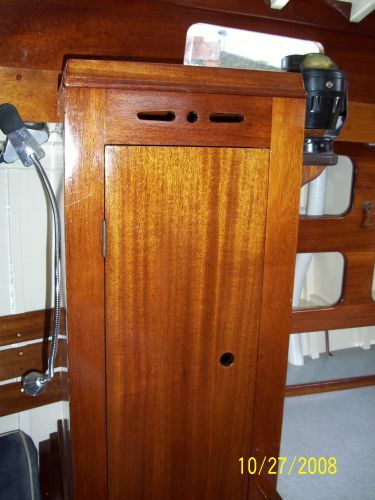 Veninde has been listed for sale in the current issue of Wooden Boat Magazine (page 143). 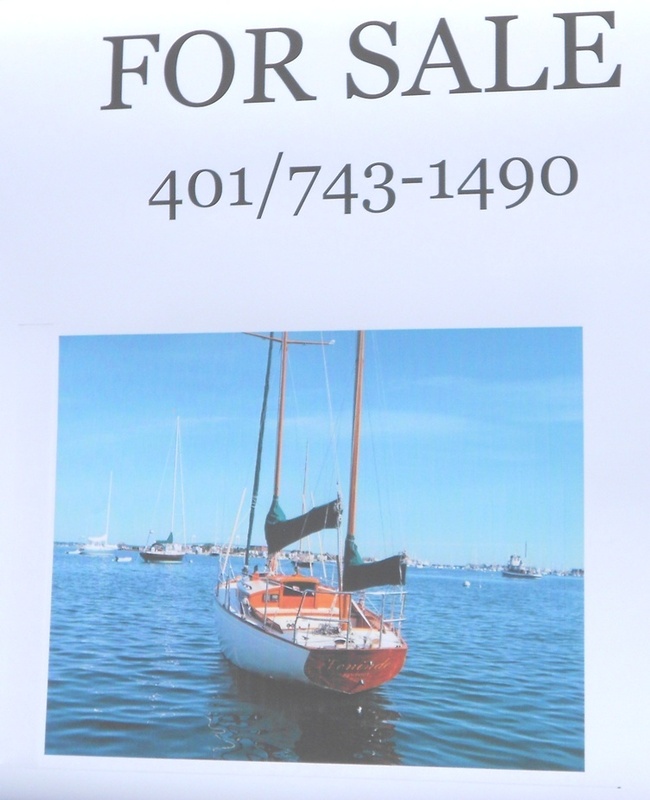 Here is the ad and contact info. 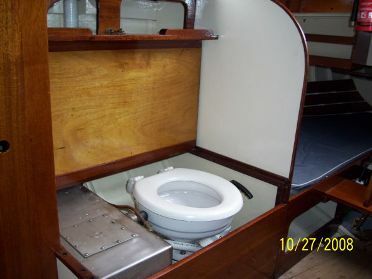 The wordpress.com link has a lot of information and some really great pictures. 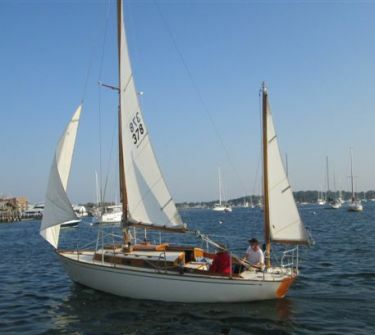 March 9, 2017 This is the latest link to the ad for Veninde - http://boats.iboats.com/1958-shaw-24-bristol-ri/1736666.html. 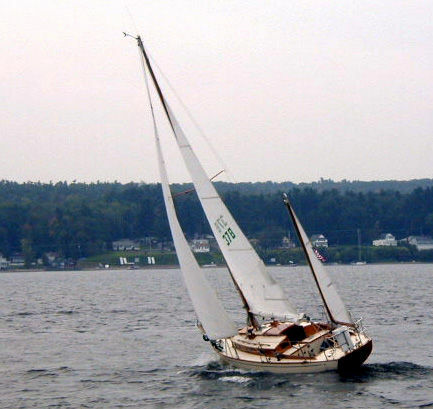 Offered for sale is this classic keel/center-board wooden 1958 Shaw 24 Yawl. 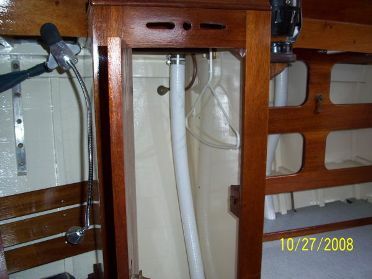 This boat was designed by Bill Shaw and built by Jensen and Sons. 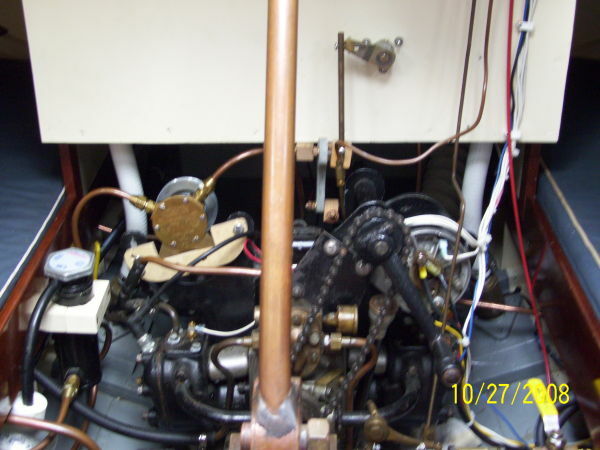 It is powered by the original Coventry Victor MW 2 engine (gasoline). 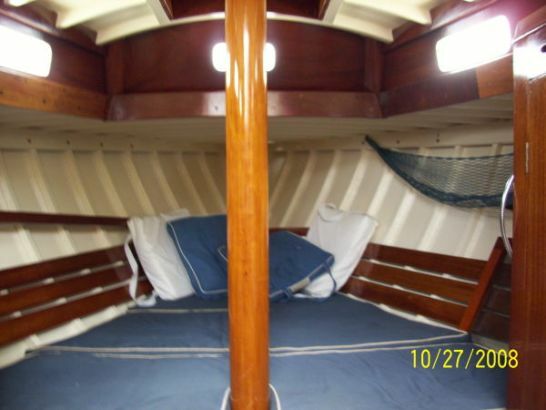 This vessel is completely restored and is aggressively priced at $19,800. 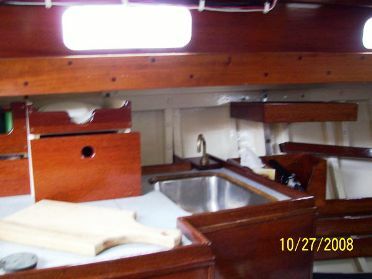 The boat has spent the past five years under the ownership of highly experienced wood workers with three plus decades of wooden boat experience. 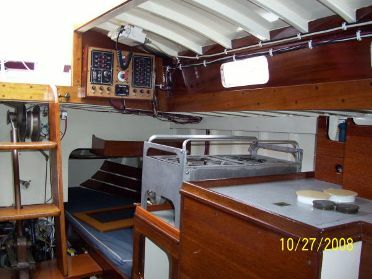 "Veninde" is now on the market as the owners have moved up to a larger wooden sailboat and are planning an extended cruise. 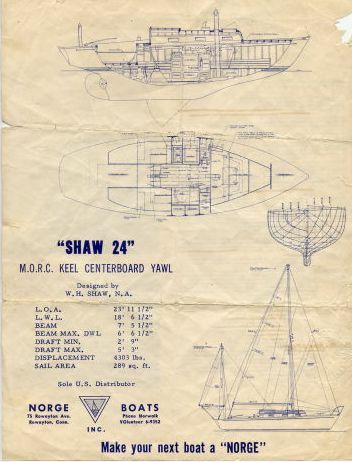 A lot of detail regarding the Shaw 24 can be found on Trina's page, Shaw 24 hull #1 - click here to go there.. 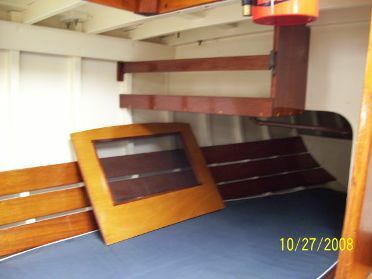 Both boats were built by Jensen in Denmark - double planked mahogany and cedar over oak, a keel/centerboarder with a yawl rig. 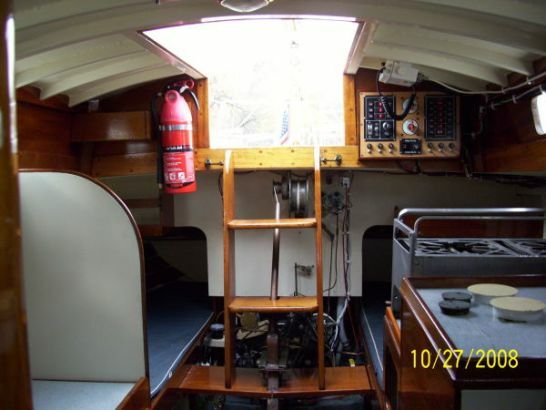 Dyke Williams, former owner of Trina, wrote an extensive article on the Dolphin 24, and the Shaw 24 that appeared in Good Old Boat Magazine - Sept/Oct 2005.. Click here to go to the article. 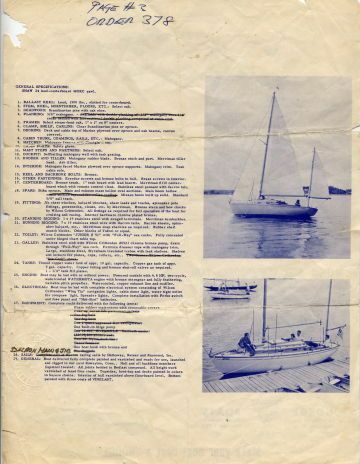 It’s me, the owner of Marc Chramiec’s Dolphin, Windsong (renamed Belladonna) from 1981 – 88. 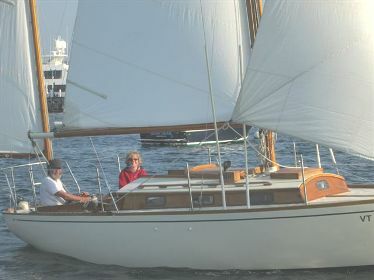 I bought Veninde from Joe Tornello & brought her down to Newport. 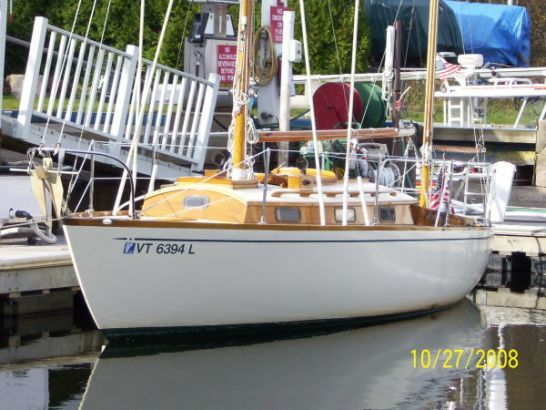 She spent a few weeks in a slip at the Newport Yacht Club before we pulled her out before Hurricane Sandy. She’s snug in her winter storage & we’ll launch her as early as possible in spring. This may be her first time in salt water. She’s in extraordinary shape. Joe truly loved her. I hope to keep her to his standards. LOA 24'; LWL 18'6"; Beam 7'6"